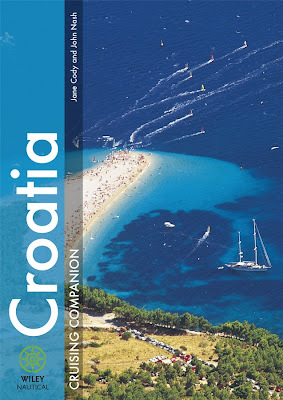 You can read all about our book, Croatia Cruising Companion, on our sister site (see links - top right). And you can read about one of the best new bookstores in Split, with a great international section, a few postings below. What we didn't expect was to find our book in this bookstore quite so quickly, and so well displayed. Thanks to Profil, at the new Joker Centre in Split, for giving us the space! Tomorrow you'll be able to see the pictures of Kastela's Shrove Tuesday Carnival - a great local celebration and illustration of resourcefulness. It's a traditional parade of floats, ingeniously put together, with a strong dose of satire.